Other crewmen - Flew on all four of the 2Lt Simmons crew missions. Mission #98, 11 Jan 1944 to Oschersleben, Germany, in original 427th BS B-17F #41-24619 S-for-Sugar GN-S. Went down between between 1110 and 1125 hours and crashed near crashed near Braunlage, Germany. Mission led by B/Gen Robert F. Travis (CG 41st Combat Wing). A mission recall order was issued when weather started closing in over English airfields. B/Gen Travis claimed that he never received the recall order. P-47s, who were to provide mission withdrawal support, obeyed the recall order and left the 1st Division bombers to fend for themselves. Eleven 303rd BG(H) bombers were lost when attacked by numerous German fighters. This was the greatest loss suffered by the 303rd on any of its combat missions. 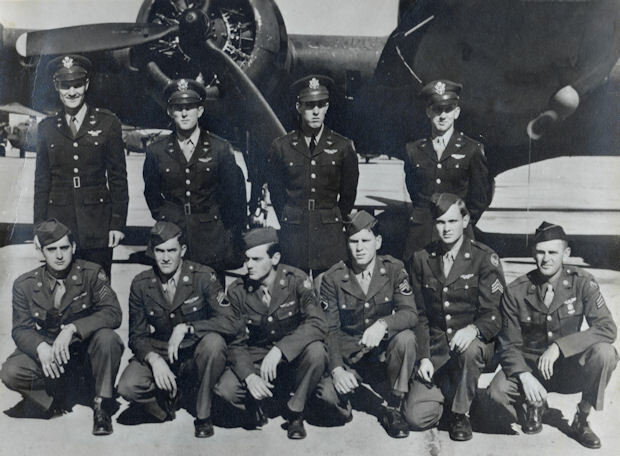 The 1st Division lost 42 B-17s and 430 crewmen. All of the Lt Simmons crewmen became POWs. Sgt Robert L. Livingston (TG) died of pneumonia on 24 March 1944 in Stalag 17B at Krems, Austria.